Venturing into the market of Hong Kong is perhaps the biggest dream of every entrepreneur. The city of skyscrapers has become a business paradise because of the government’s pro-business focus and the robust business economy. Its unique position of openness of the people to new ideas, and the banking sectors are incredibly encouraging. Most Asian multinationals have started their business in this Asian market. Despite the booming business and enormous prospects for success, starting a company can be challenging in the business world of Hong Kong. Many investors still find it a challenge to grow after setting up new ventures in Hong Kong. So, are you an entrepreneur who wants to start business and reduce your chance of failing in the Hong Kong business market? Having only an excellent idea doesn’t help you in growing your business entity, and you may need to ask yourself- how are you going to turn your business from a back-of-an-envelope plan to an empire? There’s no doubt that the market for start-ups and new businesses is a tough one. From inadvertently designing offensive logos to failing to protect your intellectual property or just being unable to penetrate your target market, a lot of the things can go wrong. It takes some savvy business skills to ensure business success in Hong Kong. 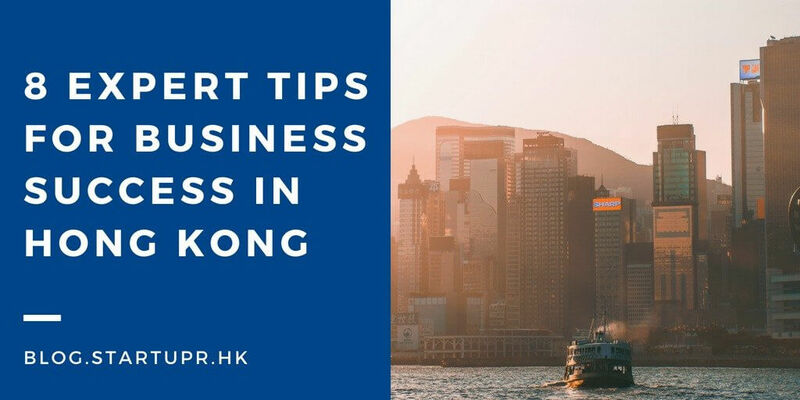 Here are some expert tips for business success in Hong Kong, which you should follow while venturing into the Hong Kong business market. Most people get hung up on the idea that setting up somewhere different, especially overseas, is extremely complicated and challenging. The first and foremost tip for business success in Hong Kong is the need to think beyond this. This is one of the main reasons why some businesses in Hong Kong remain small or end up closing because investors failed to consider big. Thinking big for your startup shows that you can be part of a more significant company. While it is true that doing things in a big way will come with new challenges and complications, they will keep leveraging your move to the next level. You can have bigger and faster growth through conventions, seminars, and additional training for enhancing your skills. These are new learning platforms that help to provide a better way of doing things in order to dream big. While starting your own business for the first time, you have to go into the market with your eyes wide open, especially for marketing strategies for business success in Hong Kong. The traditional marketing methods are no longer working in the bustling market of Hong Kong. Though it does not mean that you will stop using billboards and direct television ads, it is better to put extra focus on inbound marketing methods. Inbound marketing is focused on attracting more targeted customers through relevant and helpful content on your website and adding value at every stage in your customer’s buying journey. With inbound marketing, potential customers find you through channels like blogging, social media marketing, and content marketing. As soon as you are done with the marketing strategy for business success in Hong Kong, the next step is that you need to consider adding value for your products. For many people, the easiest way to sell their products and services is by offering a discount to customers. However, this means you are taking away cash that could have gone to your pocket. So, it is advisable to consider adding value to your products or services and sell them more. For instance, suppose you are a retail business, and you are not able to make profits on the weight management products. It is better to add value by offering an additional e-book on cutting weight rather than offering discounts on these products. The target clients will find the product more valuable because they can achieve more with it. Even the government of Hong Kong is seeking to attract those startups that can help them to add value to tech products. Remember to carry a comprehensive market study when working on the strategies to add value to tech items and services. So you’ve started your business, but do you want to be present across the business market of Hong Kong? Your organization can only rush to success in the business environment if it adopts the path of self-evaluation. You need to select the best working strategy for business success in Hong Kong. This strategy must be informed by the nature of the marker, and the legal framework of your company. To draw the best plan for your successful business, you have to carry progressive research on the market especially on the following details. As a manager or investor, you should ensure that regular reviews of the productions, staff, and systems are done and changes organized in time to maintain growth momentum of the business. Too many entrepreneurs focus on getting their brand right before they start to generate leads. That is the wrong way to go about business. So, it is advisable to identify your partners before launching the company, as it becomes easier to win the market and convince clients to convert. While developing the working strategy for your business, the customer behavior on the selected market niche also plays a significant role. For example, if you are offering fitness products, so you should understand what people think about weight management products and how will you able to sell more products and services to customers and earn more profit. The next thing for generating a successful working strategy is that every business investor should work on comprehensive research in order to analyse the competition of the market. New competitors keep on emerging in Hong Kong, and with the help of this assessment, you can redefine your products to match the needs of the customers. One of the main reasons for starting a new business in Hong Kong is concentrating on the growth of your business. However, the doors for additional investments are not closed. You can make extra income by increasing your streams of revenue. To drive more revenue without affecting the commitment given to the main business, you have to get extra creative for your work. Having access to more than one source of income protects your business, encourages growth and deepens the customer relationship. Consider working in a great blog posts, guests posts, and using it as an advertising platform for good paying companies, which can also help you in increasing your revenue. For example, a weight management company with a lot of traffic could allow a soft drink company to advertise on its space. While developing the best working strategy for your business success in Hong Kong, you are also required to review those strategies progressively and institute some changes according to the requirements of your business entity. The strategy you are applying today might have achieved a significant level of success for you, but the chances are that it will become redundant in a couple of years. The technology in Hong Kong is advancing fast, and a strategy might become obsolete within a very short time frame. Therefore, you have to progressively review the operational strategy and establish whether the results you anticipated are being met with the needs of your business organization. One of the most critical steps after setting up your Hong Kong company is hiring the best workforce. It is essential to be aware of the legal formalities involved in the hiring process and to have a clear understanding of the employment legislation in Hong Kong. Every company has different touch points and requirements for rapid scalability across global markets. Most of the entrepreneurs rose to their position today because they had the best workforce with excellent skills. The skills and dedication of the employees determine whether the clients you serve will come back, refer others, and convert to the sales. In order to get the best staff, you have to assess them carefully to ensure that only those with the right skills come to the business. For your business success in Hong Kong, you must have enough customers to buy the products or services of your startup. Having a clear vision of your anticipated customer base will help you in increasing your business’ chances of success. It is always better to evaluate the potential customer base of your startup before launching your new business in the competitive market of Hong Kong. Figure out whom you expect to be your most likely customers or your target customers. Targeting a specific market does not mean that you are excluding people who do not fit your criteria. Instead, target marketing helps you in focusing on your marketing dollars and brand image of your startups on a specific market that is more likely to buy from you than other markets. This is a much more efficient, effective and affordable way to reach your potential clients and generate business. Remember always study the target clients’ behaviors and deliver what they want as opposed to what you think will work. 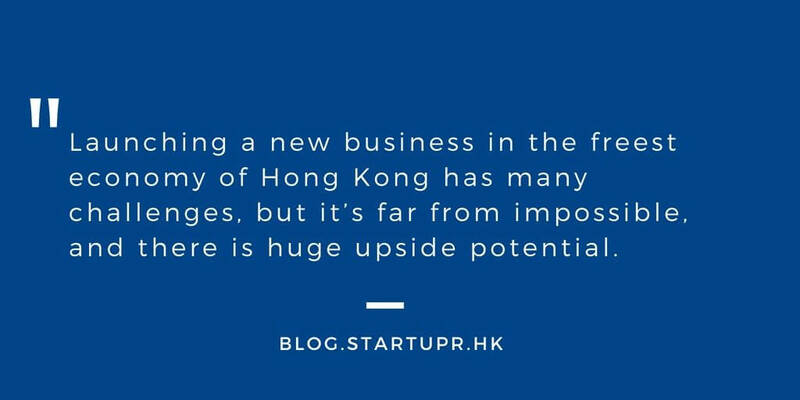 Launching a new business in the freest economy of Hong Kong has many challenges, but it’s far from impossible, and there is huge upside potential. By following experts tips for business success in Hong Kong, this will make starting your new business a smoother process. Provide a long way towards ensuring the company your start lasts and thrives in Hong Kong. To learn more about your business success and the process of incorporating and registering your business, hire professionals like Startupr!